When it comes to improving the appearance of the skin, almost everyone is interested. Once we hit puberty, most people are troubled by acne, at least to a degree, and for some of us it persists into adulthood as an unsightly, embarrassing condition. In adulthood, once we reach a certain age, our skin begins to show damage from a combination of excessive sun exposure and simple aging. We may also develop skin conditions like rosacea. For many of Dr. Dyan Harvey Dent’s clients at Unique Dermatology & Wellness Center, chemical peels are a safe, effective solution to problem skin. Essentially, chemical peels work by deliberately causing the top layers of older skin to slough off in order to accelerate the production of new cells. They function as a kind of resurfacing. Once new cells are created, the skin tightens, decreasing the appearance of fine lines and wrinkles and resulting in rejuvenated, more youthful-looking skin. Because Dr. Harvey- Dent is an experienced medical and aesthetic practitioner, she is able to tailor the type of chemical peel she uses to your particular skin type and tone. The combo power peel is a gentle chemical peel that nonetheless produces dramatic results, since it incorporates the power of microdermabrasion into the process. With the two techniques working in tandem, your appearance is improved more than either method alone would provide. A relatively recent technological advance in peeling procedures, the beta peel manages to exfoliate gently, without irritation or inflammation. Patients normally report little or no stinging sensation with the process and do not experience flaking or visible peeling. Beta peels are ideal for oily skin or skin troubled by acne since salicylic acid, a common treatment for acne, is a component of the application. Not only does a beta peel clean out the pores and help to rejuvenate the skin, but the robust anti-inflammatory, antimicrobial, and antibacterial properties of a beta peel keeps infection and inflammation at bay, promoting ongoing healing. It should be remembered that lighter peels, though a fine choice for those who want to avoid any period of downtime, may require a longer series of treatments to achieve optimal results. 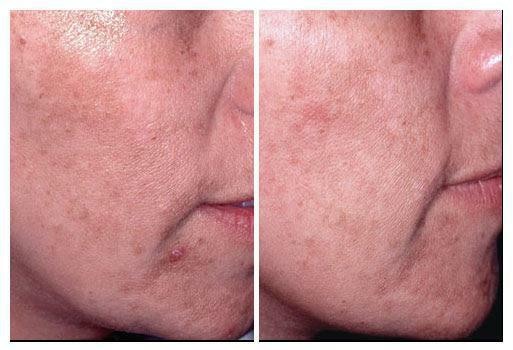 Another variety of chemical peel for those who want to avoid downtime is a glycolic peel. In addition to being quick, a glycolic peel helps to regenerate both collagen and elastin, two natural components of the skin. Because collagen provides your skin with strength and elastin gives it the ability to stretch and re-tighten, a glycolic peel refreshes your complexion, reducing fine lines and wrinkles and restoring your skin’s youthful glow. TCA (trichloroacetic acid) peels, although commonly used for chemical peeling procedures, should always be administered by an experienced physician like Dr. Harvey- Dent. As with other chemical peels, the doctor can control the depth of treatment. TCA peels are typically performed to a medium depth. TCA peels, unlike some of the other treatments mentioned, do require a period of downtime since the treatment will result in some redness, swelling, and flaky skin for about one week following the procedure. On the other hand, TCA peels are the strongest of the chemical peels and can make a more substantial difference in your appearance. For the period following the TCA peel, Dr. Harvey-Dent may prescribe creams or gels to reduce the after effects. You may also be able to use makeup during the healing process. They also address issues of uneven skin texture. If Dr. Harvey-Dent decides that lighter or medium depth chemical peels are appropriate for your skin, she will usually recommend administering them in a series of three treatments for optimal results. To maintain your fresh and glowing skin it is recommended to have a chemical peel administered once or twice a year. Can chemical peels be used on other areas of the body besides the face? Yes. Dr. Harvey-Dent can use chemical peels on the neck, chest, back, arms, and legs if necessary. Depending on the unique condition of your skin, she may sometimes use peels and laser therapy in combination to remove imperfections. Why come to Unique Dermatology & Wellness Center for your chemical peel? Dr. Harvey-Dent is a physician with excellent credentials and a fine reputation. She has experience with all types and colors of skin and will be able to carefully assess exactly what type of treatment will be best for you. When you come to Unique Dermatology & Wellness Center, you are putting yourself in extremely trustworthy hands. You can trust Dr. Harvey-Dent to provide an exceptional experience, as she helps you present your best self to the world. To schedule your appointment, please call our office or visit the contact us page on our website.